For over five years, I was involved in opposing Father Thomas Iwanowski's efforts to strip an historically Polish parish of its Polish identity. For that matter, I was first motivated because of his efforts to strip Our Lady of Czestochowa Church in Jersey City of its Catholic identity. 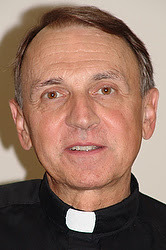 From his arrival in the mid nineties, until his blessed departure in 2010, Iwanowski bitterly divided the parish, stripped it of ornamental detail and beauty, eliminated Polish language ministry and liturgies, eliminated devotions and encouraged those who did not like his "my way or the highway" administrative style, to leave. At the height of controversy over Iwanowski's wreckovation of the parish, no less than The New York Times characterized his liturgies as "Unitarian." During his tenure at Our Lady of Czestochowa Church, Iwanowski spent 4 days of every week at the beach home of child molester Monsignor Robert Chabak. Chabak was also a frequent "house guest" of his longtime friend and companion, Father Thomas Iwanowski. Now, that long-time relationship has become only the latest scandal to rock the Archdiocese of Newark. All of these many scandals have a common "ringleader" and source. Archbishop John J. Myers has acted as would a Capo di tutti capi, who is only concerned with protecting the priests of his crime syndicate. 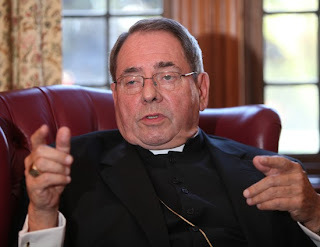 He has shown no concern, compassion or responsibility toward the families of the Newark Archdiocese and their children. It is long-past time for the corrupt and arrogant tenure of Archbishop John J. Myers to end. 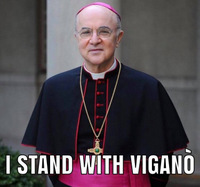 We appeal, as so many leaders throughout the state of New Jersey already have, for the Papal Nuncio and the Holy See to intervene, remove the criminal head of this archdiocese, and send in his place a caring, holy and loving Archbishop. The faithful have suffered far too long under a string of Archbishops only concerned with their careers, power and perquisites. If the Church is to have any credibility in New Jersey, bold, swift and decisive action is needed to replace systemic corruption with true representatives of Jesus Christ. ORADELL — A Catholic priest conceded today that he may have made a mistake by arranging for a former priest once accused of molesting a teenage boy to stay in the rectory of his Bergen County parish. "Hindsight is 20-20," the Rev. Thomas Iwanowski of St. Joseph Roman Catholic Church in Oradell said after services on his next-to-last Sunday there. Iwanowski is being removed from St. Joseph by the Archdiocese of Newark as of July 31 in the wake of a scandal over the arrangement that allowed the accused priest to live at the rectory. The situation was the subject of a report in The Sunday Star-Ledger. It was with the permission of the archdiocese that Iwanowski, 64, allowed the Rev. Robert Chabak to stay in the rectory after his mother’s home in Toms River, where he had been living, was damaged during Hurricane Sandy. The church’s elementary school is across the street from the rectory, while the middle school building is right next door. Parishioners were not told that Chabak, 66, a friend of Iwanowski’s since the two attended seminary together four decades ago, would be staying at the rectory and only learned of his past after he was transferred to a retirement home in February. But even after that, parishioners said, Chabak would return to St. Joseph’s to spend the night. Some grew angry and demanded he be kept away. "Obviously, looking back, Monsignor Chabak and I, if we knew this was going to be such a difficult decision, maybe we would have moved in a different direction," Iwanowski told reporters after the 12:30 mass. "But we tried to make a compassionate decision." Iwanowski said he will be reassigned to another parish, though he did not know where. Chabak was removed from the ministry in 2004 after church officials said there was credible evidence that he molested a teenage boy during a three-year period in the 1970s. The statute of limitation had expired on criminal prosecution of the crime, and he was never charged. Chabak, now back in the Toms River house, declined to comment last week. Jim Goodness, a spokesman for Newark Archbishop John Myers, said the arrangement had been permitted, "out of a sense of compassion." But some parishioners called it reckless. One of them, Daniel O’Toole, who led the effort to remove Chabak, said Iwanowski and Myers were "spectacularly tone deaf" considering other sexual abuse scandals. Most recently, Myers faced calls for his own resignation following revelations that the Rev. Michael Fugee had extensive interaction with teenagers despite being banned for life from ministering to children. Fugee has since been charged with violating a judicial order. Iwanowski said O’Toole was using the Chabak matter to force him out after the two disagreed over measures the pastor had taken to balance the budget of the parish school. Iwanowski said he had decided to raise tuition 10 percent, lay off teachers who provided religious education only, and have homeroom teachers handle religion, which would also allow them to weave religious teachings into standard academic subjects. He said O’Toole had publicly opposed the measures during a parish school meeting two or three months ago. O’Toole, a 46-year-old attorney with three children at St. Joseph, dismissed the assertion as "subterfuge." "I don’t at all dispute that I’ve had problems with Tom’s leadership over the past two or three years," O’Toole, who is boycotting St. Joseph until Iwanowski is gone, said in a telephone interview. But he added, "I’m not using people who are sexual victims as excuses. I’m bringing something to the attention to the archdiocese, and I was disappointed to learn that they knew about it, and they not only knew, they gave him permission." Robert Hoatson, a former priest now with Road to Recovery, a group that supports victims of clergy sexual abuse, was outside the church on Sunday urging parishioners to withhold monetary contributions until reforms are in place to insure transparency. Hoatson said the responses by Iwanowski and the archdiocese to the Chabak affair exemplified the church’s arrogance. "How do you explain after Fugee — during Fugee — that they do this with Chabak?" Hoatson said. "It’s arrogance to the hilt." Several St. Joseph parishioners declined to comment after mass in the church’s airy, brightly lit sanctuary, where a live band of drums and, variously, guitar, piano and organ accompanied a female vocalist. Iwanowski did not discuss the Chabak matter during the service, whose themes included compassion and giving God one’s full attention. One parishioner who did speak afterward, Phil Follety, 62 of New Milford, said it was too soon to judge Iwanowski or anyone else. 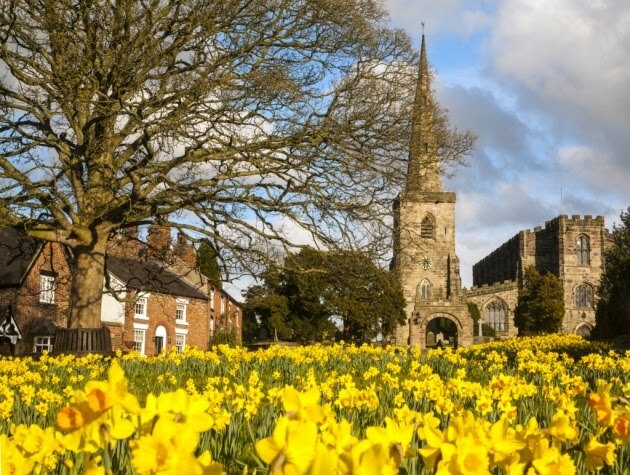 "It’s something that’s been tried in the press and we don’t have much information," said Follety, who was in church with his wife and teenaged son. "As religion is under fire in this country today, I think we have to unify." You've wreaked ruin and destruction, Archbishop. For God's sake, GO! Call the Archdiocese of Newark and let Myers know what you think: 973-497-4000.